What if, on one magical day of the year, you could be escorted around Fort Wayne in a fashionable red trolley and buy fudge, diamonds, flowers, furniture, cameras, tea, antiques, and gifts, visit art galleries, pop-up boutiques, Science Central, Stoner's Funstore … and much, much, more? Well, look no further fellow Fort Wayners! The Downtown Improvement District (DID) has set up a special day, the newest part of HolidayFest, Holly Trolley Shopping. This year marked the third Holly Trolley shop local event, helping shoppers get in the holiday groove by shuttling them for free from shop to festive shop. 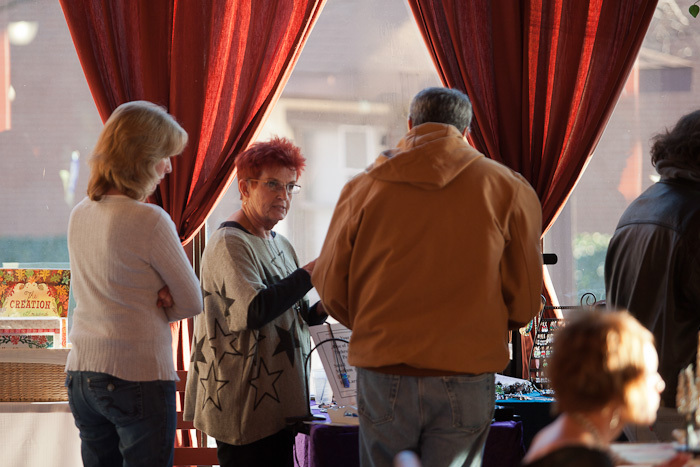 The third Saturday of November, the Holly Trolley transported friends and families all day between over 50 unique local shops and restaurants, galleries, attractions, as well as art and retail pop-ups. Incentives for the holiday retail extravaganza included refreshments, one-day only discounts, and specialty holiday items. Holly Trolley is not just about shopping however, it's about community, local business, cultural attractions, and location. Downtown Fort Wayne is a treasure trove of hidden gems, both long-time retailers, and new comers eager to share their wares. Other accessible activities of the day include the Festival of Gingerbread, Festival of Trees, Festival of Trains, Christmas at The Old Fort and many other attractions make it clear why Fort Wayne is the vibrant, urban core of northeast Indiana. National Small Business Saturday's Shop Small initiative is represented well with the Holly Trolley. Event highlights star four pop-up boutiques, mini-markets filled with local artisans: Old World Fudge, Artlink, Jingles and HollyPop, the only multi-day pop-up on tour.